Backwoods Gallery | And mightymouse pronounced . . . . You Must Create! So I may have given d a bit of a william present this Christmas – But how could I resist when this lovely lady appeared in my inbox a couple a weeks ago saying she was available and in very limited supply…. 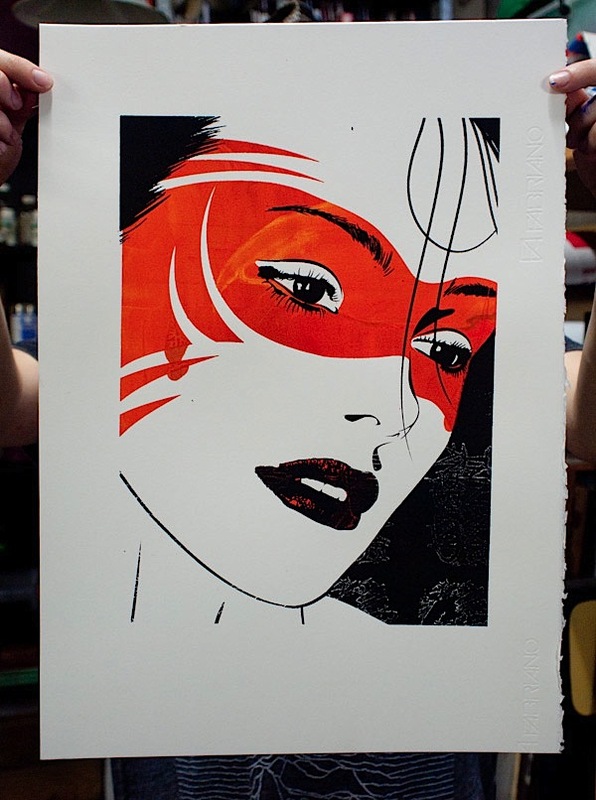 Masked Clara in orange by Rone is from an edition of 9, Hand screen-printed on dutch etching paper. All prints have small imperfections, making each print unique. 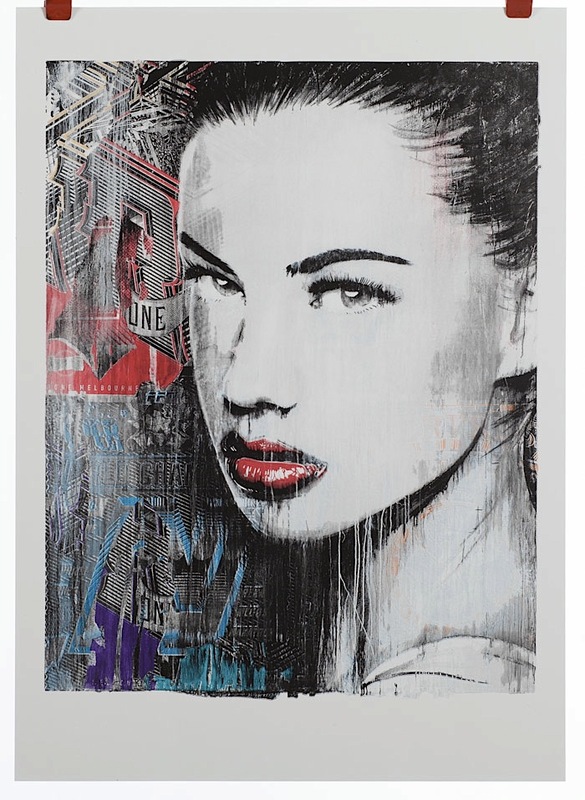 Rone is part of the Everfresh collective, who’s art can be found posted on walls around Melbourne – I’ve been coming across a lot of his posters on my journeys over to Fitzroy and Collingwood this year, so was super stoked to get my mitts on one of his gorgeous girls for our walls at home! 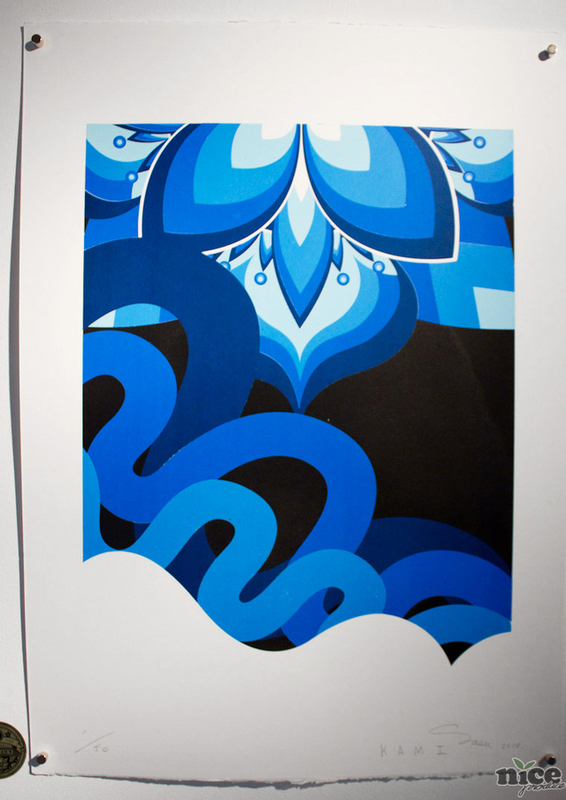 So the last post I put up with images of my UV stencils fully reminded me of a similar shade of blue acrylic I saw recently when I visited Backwoods Gallery over in Collingwood for their KAMI and SASU exhibition entitled “OMNI”. 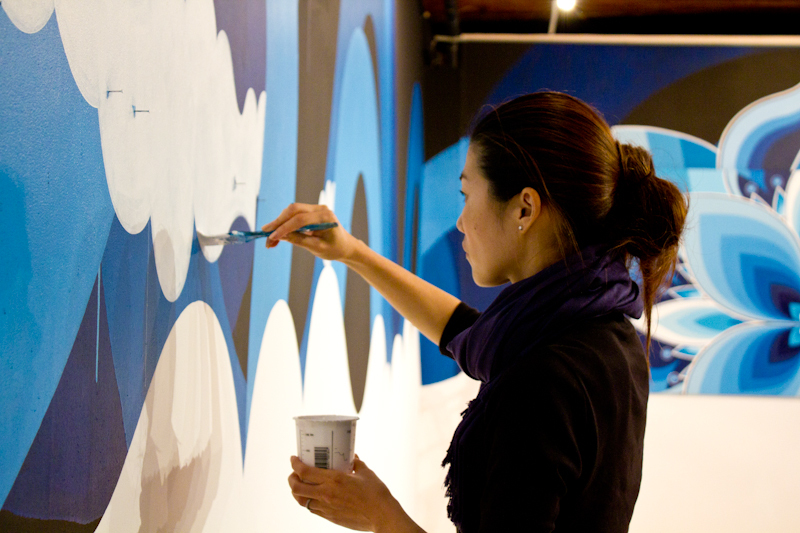 Husband and wife, KAMI and SASU create a constantly evolving visual dialogue that expresses their world and hopes for the future. Renowned for their giant collaborative Zen pop murals, KAMI and SASU’s works combine elegant geometry with ebullient, uplifting colours. I find it fully inspiring that this talented duo manage to do incredible things like this with a young toddler of their own in tow. …I had Tui w me when we visited Backwoods and she hooned around the space, which is big and echoed with her footsteps and squeals. It has this wonderful warehouse/loft feel to the gallery, and I will def. be heading back there to check upcoming exhibitions in the future, now that I know where to find it! *swoon* I love the Omni print they released, above. 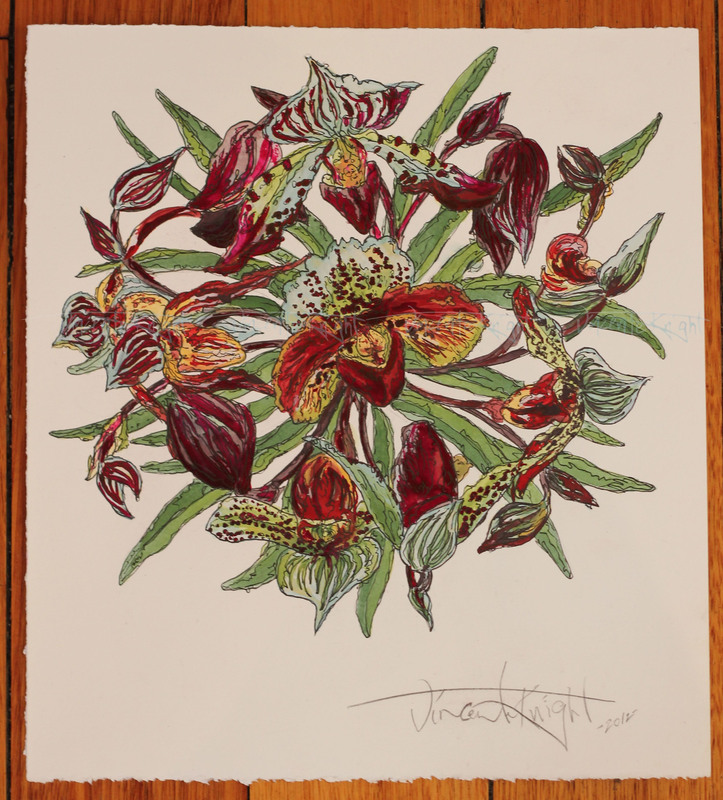 Its an edition of 50 and is available through nice produce http://niceproduce.com/kami+and+sasu/1104 …. Wish I had one of these for my bedroom wall!